November/December 2017 If you’d like to donate a new, unwrapped toy (valued at least $5) to make the holiday season a little brighter for local children in need, please drop it off at our office between Thanksgiving and December 15th. These toys will go to our local Toys for Tots Drive. With the donation of each new, unwrapped toy, you’ll be entered to win a $100 Kroger gift card. 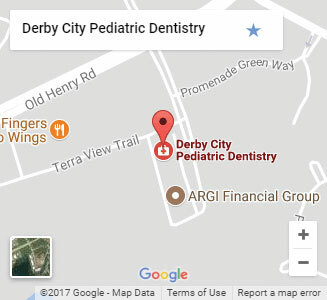 3:30pm – 5:30pm Bring the kids to meet Santa at Derby City Pediatric Dentistry on December 14th! With each donation of a new, unwrapped toy (valued at least $5) to benefit Toys for Tots, you’ll get a photo with Santa, a craft, holiday treats and a chance to win a $100 Kroger gift card. Copyright 2017 Derby City Pediatric Dentistry. All rights reserved.